Really personable, great bedside manner, and seems to really know his stuff and how to articulate that in a way that’seasy to understand. Really personable, great bedside manner, and seems to really know his stuff and how to articulate that in a way that’s easy to understand. He was awesome!! He actually listened and helped .. should be voted MICHIGAN top doctor .. he give a fair amountt of time n the office was very clean.. He was awesome!! He actually listened and helped .. should be voted MICHIGAN top doctor .. he give a fair amount t of time n the office was very clean..
Dr. Viviano specializes in surgical and non-surgical fracture care for both adults and children. His practice encompasses a multitude of focuses, including sports medicine, arthroscopy of the knee and shoulder, total joint replacement of the knee and hip, and non-operative management of arthritis, neck and back pain. In private practice for 14 years, Dr. Viviano is board certified in Orthopaedic Surgery and is a Fellow of the American Academy of Orthopaedic Surgeons. 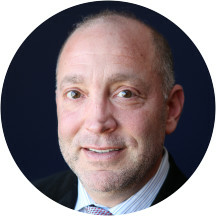 Dr. Viviano graduated from the University of Michigan Medical School in 1992. He received his Master's degree in Sports Medicine from the Rackham School of Graduate Studies, University of Michigan, in 1986. He completed his surgical internship at the University of Michigan Hospital and his residency in Orthopaedics at Henry Ford Hospital. Dr. Viviano has given numerous presentations and co-authored several articles about Orthopaedic Surgery. If you’re thinking about seeing an orthopaedist, just stop and see Dr. Viviano. Great guy, great visit. Both his front office staff and he were very welcoming and attentive. I was grateful that they were able to get me in so quickly and meet my needs. I barely waited at all, and the front desk staff did anamazing job of juggling intake, X-rays, all the while helping other patients. would highly recommend going to see Dr Viviano. My appointment had to be rescheduled until the 28th of October. The doctor had an emergency. I was having back pain and numbing down on my side that extended to my pelvic bone area. I got an x-ray that confirmed that I have mild degenerative disease in my lower spine at 23 years old. My primary carephysician sent me for those x -rays. I wanted to see a specialist and found David Viviano on Zocdoc and scheduled an appointment with him. I was nervous and afraid and could not understand how and why this was happening to me at such a young age. Seeing Dr. Viviano made it all better. We went over my x-rays together and he assured me that "I am not my x-rays" and I could still live a good quality life. He wanted me to see a physical therapist and helped me get an appointment. We sat in his office and chatted and he called a yoga studio that he attends because he felt that yoga would be good for my pain in addition to physical therapy. I have completed physical therapy as he recommended and a lot of the pain has subsided. He is a really caring nurturing person that will make you feel at ease. I did not feel like just a patient. He even walked me next door to the pharmacy to put in my prescription with me as we chatted some more. Having any issues with your skeletal system can be scary but he makes you feel such at ease and will develop a plan for you. You can tell that he truly cares for his patients. Please give him a try. Have great experiences with Dr. Viviano for all my visits. He is very professional, listens to you patiently and makes detailed notes. He even goes through the X-rays with you providing detailed information. Explained every thing that was wrong and gave me options to repair problems. Very excellent experience the minute I walked in the office starting with the receptionist. I have a new ortho doctor. Dr. Viviano is a great doctor. He listens and is very caring. Dr. Viviano asked a wealth of questions to get an understanding of the issue (and wrote everythgin don), he explained the findings very well, provided a wealth of information and suggestions to incorporate in future exercise to avoid the issueto reoccur. Friendly & funny personality in addition to that made me feel very well taken care of. Absolutely wonderful with kids! My daughter loved him, and that was my #1 concern! Very patient and friendly staff! I adore Dr Viviano!! He takes his time with each patient to help them thoroughly understand what is going on in their body. (Thus the wait time before being seen.). He's well worth the wait. My husband and I cannot sayenough good things about him. The office staff is also helpful and very friendly. He was amazing so professional so funny I recommend he to any and everyone. Well worth the wait, he treats you like family. Very intelligent and encourages questions. Over all the staff and experience was great. IF your traveling from 696 to Coolidge. There is construction. No road. Maple road to Coolidge is your best bet. Go south on Coolidge 0.9 the east side of Coolidge. Doctor was very polite . Ask some questions after I hadex-rays taken. Even showed me the x-rays, to explain what he see. So, I know what I felt in my knee. & ,he raid my Cat Scan ,I brought with me. He was very throe when with hands on, check of how my knees bend. He explained why I have my problems. Dr Viviano spent time and explained throughly why I was having my shoulder pain, I appreciated the time he spent with my husband and grandson also. Though I arrived on time for my appointment and it was at least an hour and a half before I got in to see Dr. Viviano, it was well worth the wait. I discovered the reason for the long wait wasthe personal attention he gives each patient. He was not hurried nor harried and he took the time to answer all my questions. He also took the time to explain, in a manner that I could understand, the condition I had come to him for consultation. I had come in dreading the news I might hear, but I left feeling confident and positive that I was in the best care.